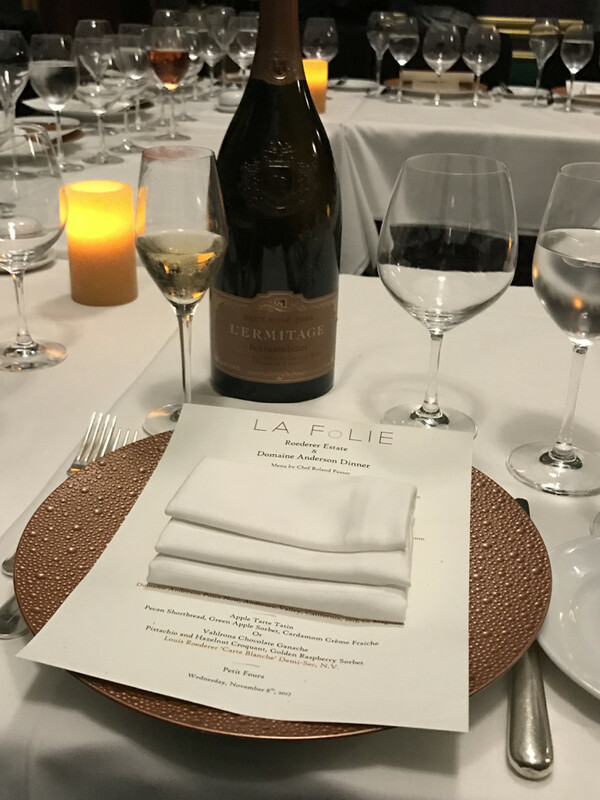 Recently, I had the pleasure of attending a Roederer Estate & Domaine Anderson Winemaker Dinner at La Folie San Francisco. 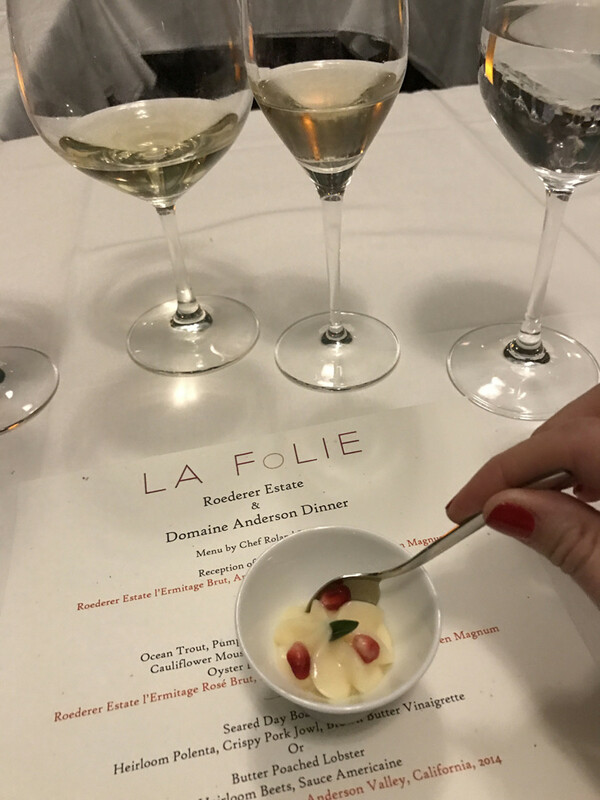 This was an exciting evening for me as it was my first time dining at La Folie (which has been on my bucket list for a while), but I’m very familiar with Roederer Estate and Domaine Anderson so I was thrilled to enjoy their wines with the incredible La Folie cuisine. 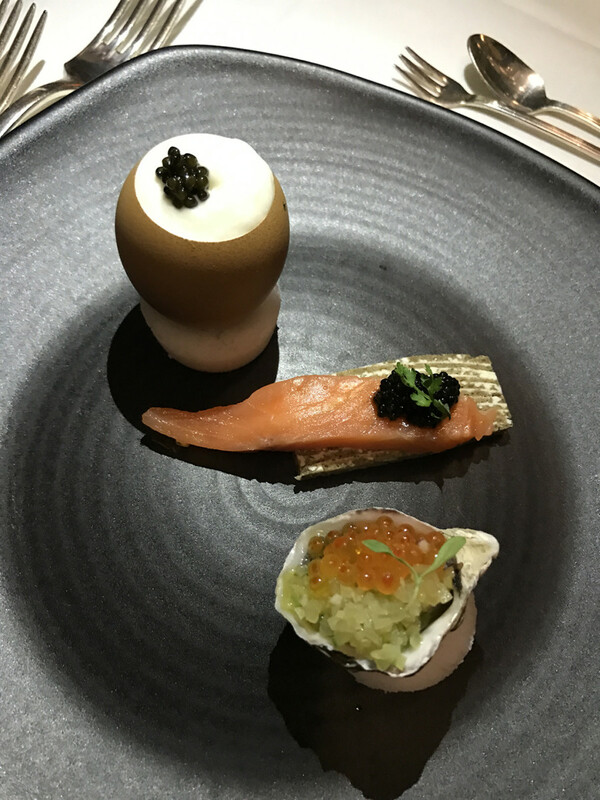 See more of this evening below. 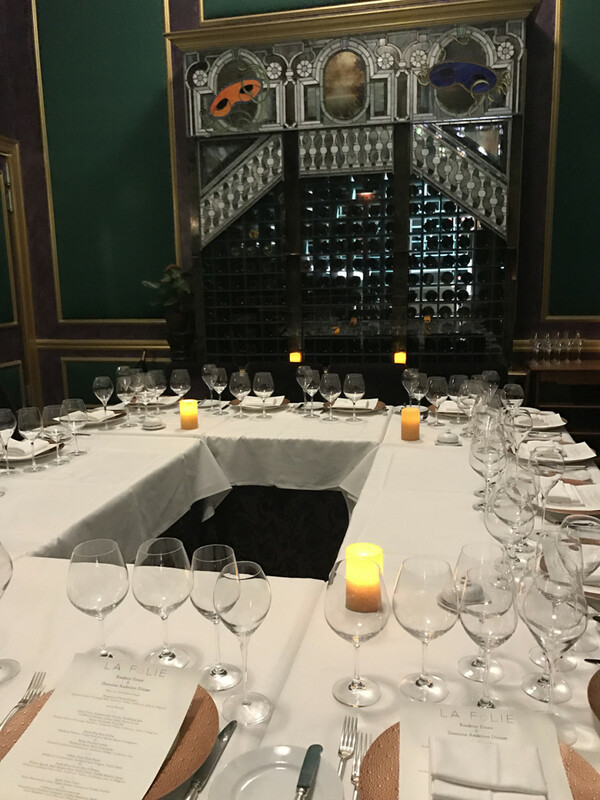 The beautiful private room set for 16 to enjoy the intimate dinner. 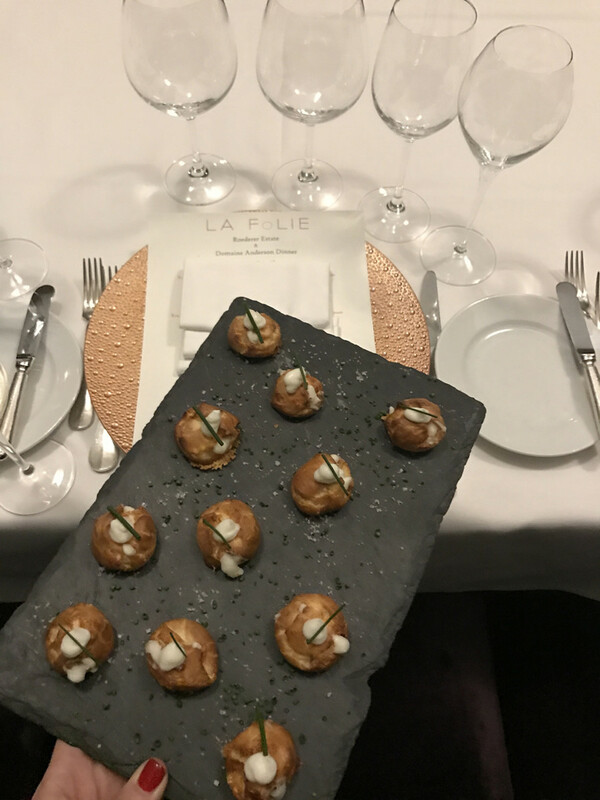 Enjoying appetizers as the guests arrived while sipping on Sparkling Wine from Roederer Estate. 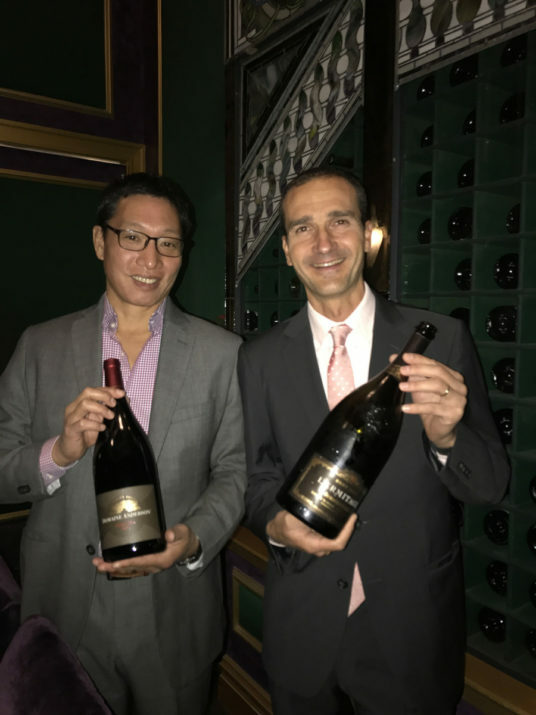 Cheers to winemakers Darrin Low of Domaine Anderson and Arnaud Weyrich of Roederer Estate. 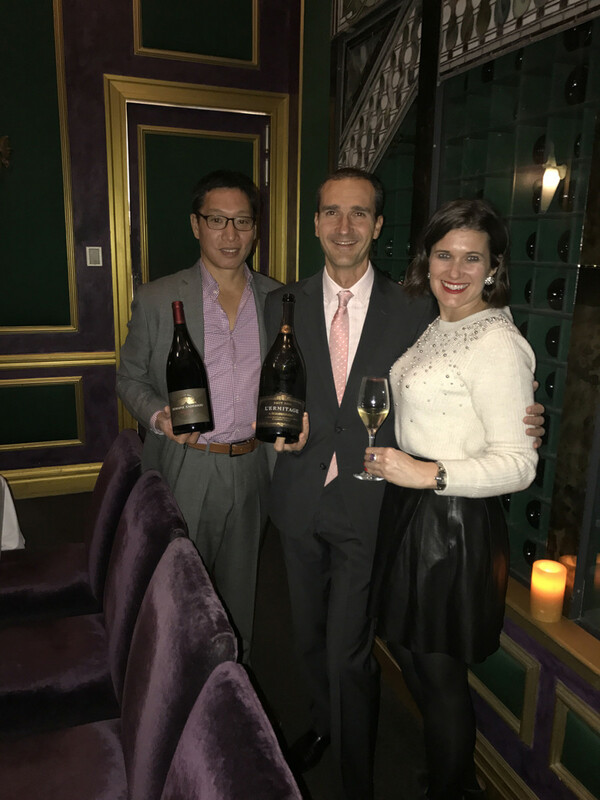 This was not my first time meeting Arnaud; I had visited Roederer Estate in January of 2015 and had a lovely time learning more about Roederer Estate and his winemaking practices. 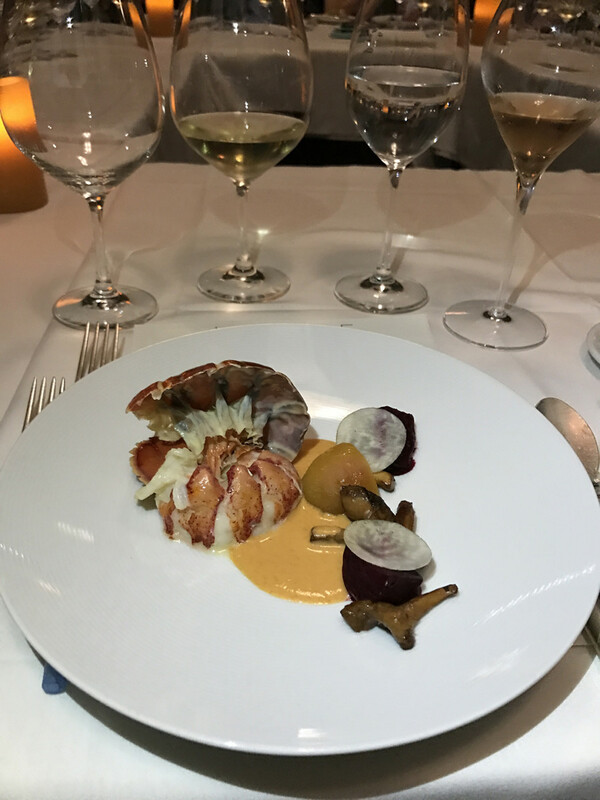 See more about my visit to Roederer Estate here. 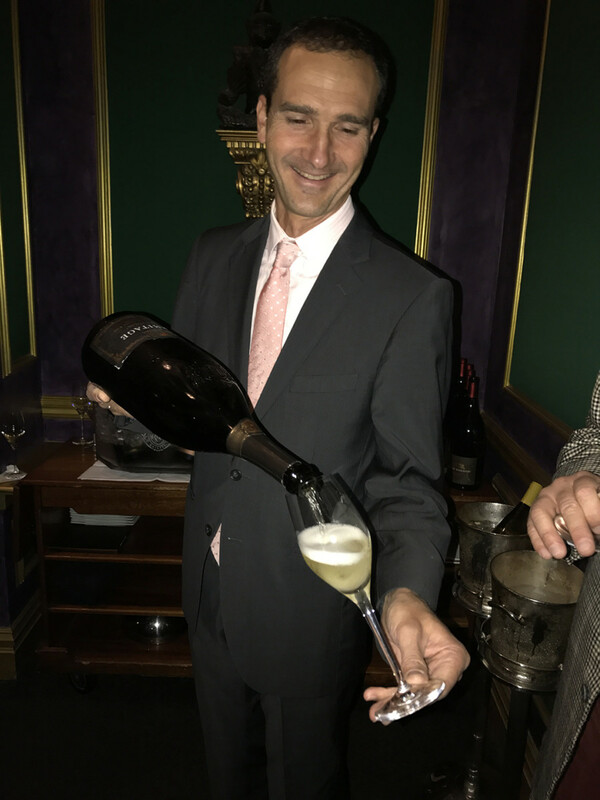 Arnaud pouring the delicious Roederer Estate l’Ermitage Brut 2006 for guests. 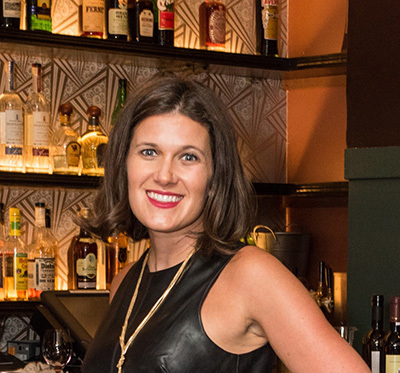 There is something about enjoying Sparkling Wines from a magnum that really signifies a party is starting! 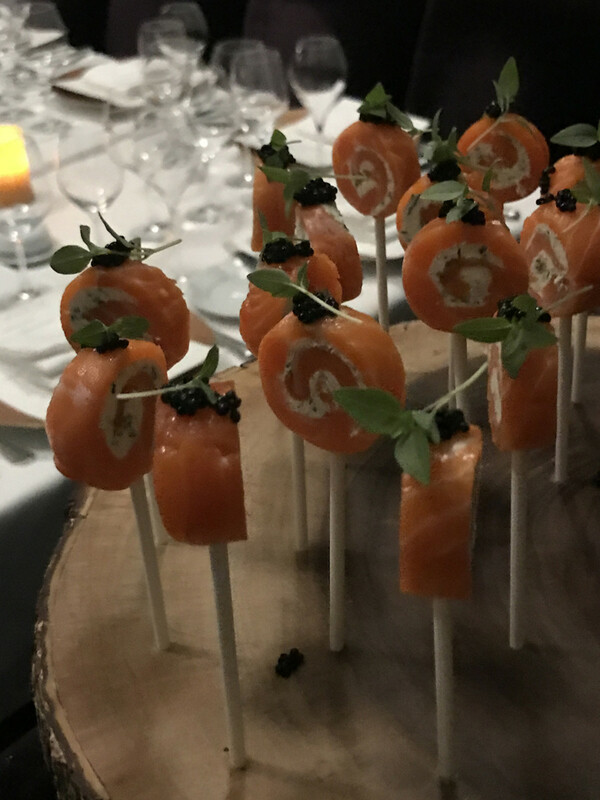 The Salmon Lolipop appetizers we enjoyed during the canape reception. 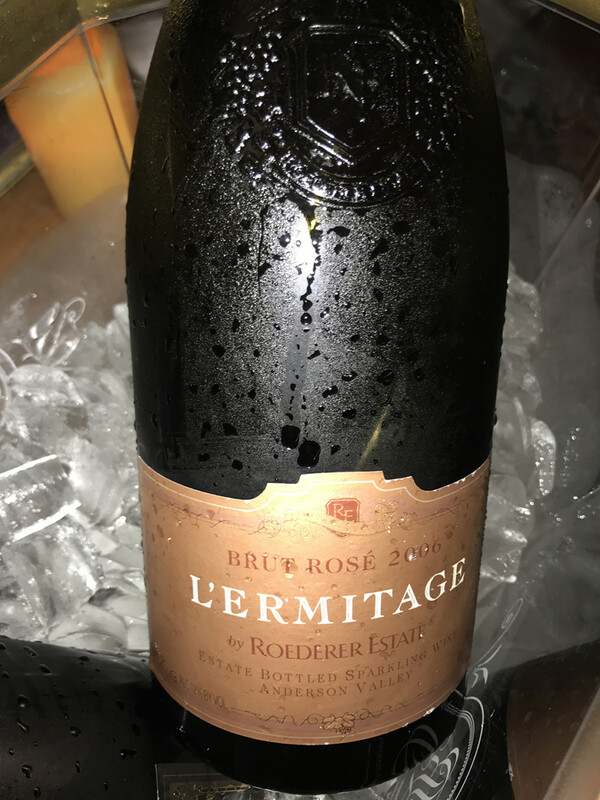 Roederer Estate l’Ermitage Rosé Brut 2006, en Magnum. 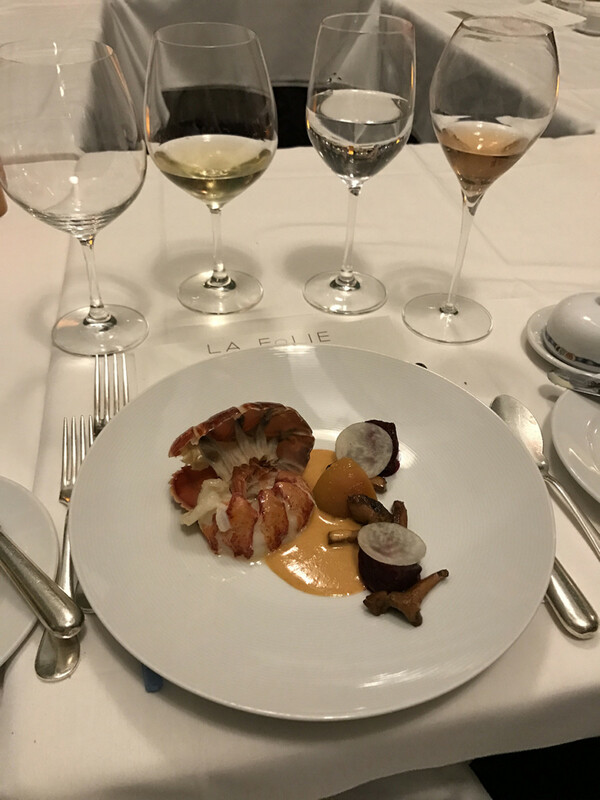 The Roederer Estate l’Ermitage Rosé Brut 2006 in magnum served with the amuse bouch course. 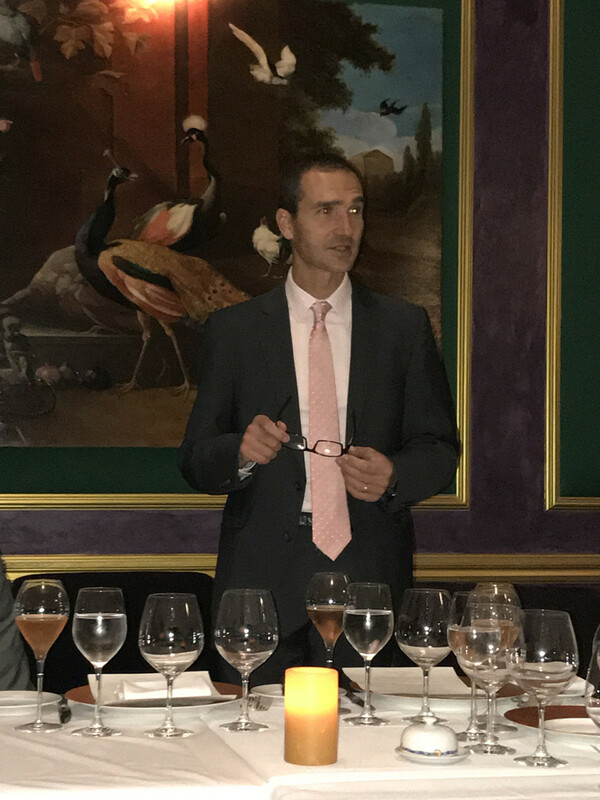 Winemaker Arnaud speaking to the guests about the wine pairing. 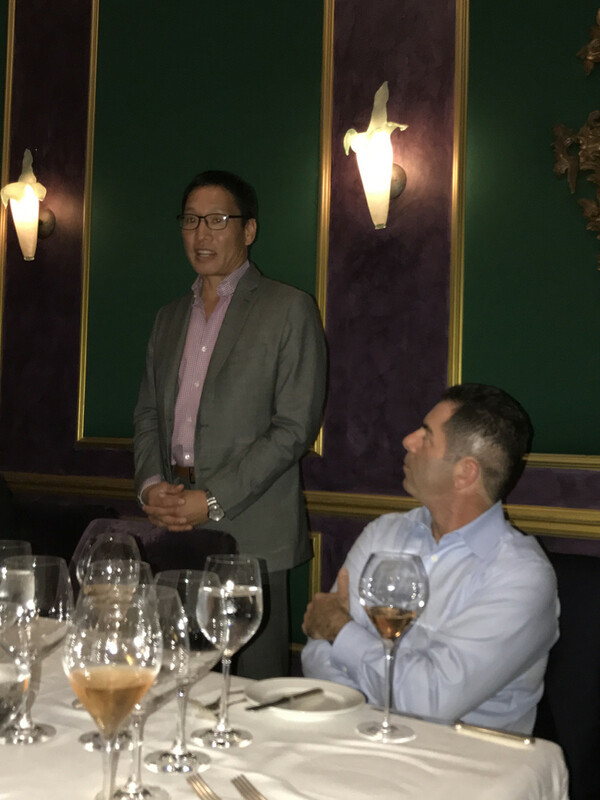 Winemaker Darin speaking to the Domaine Anderson Chardonnay wine pairing course. 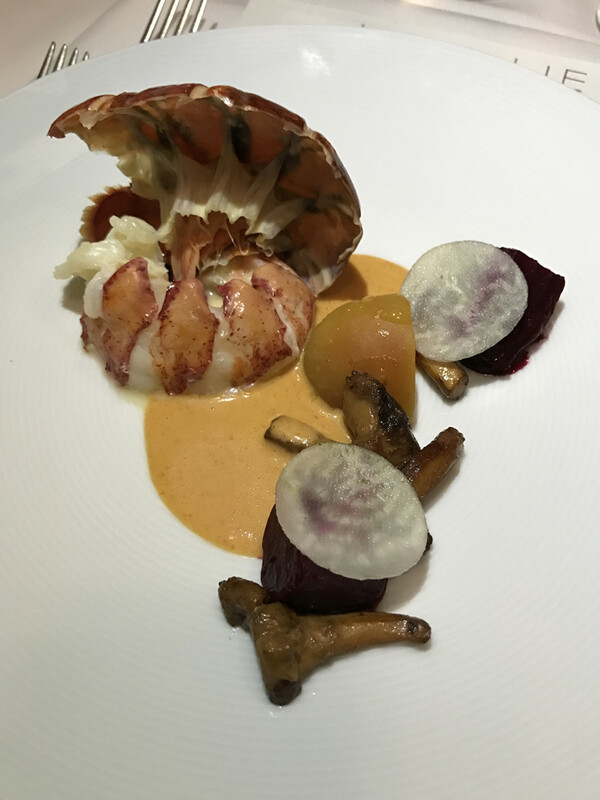 Butter Poached Lobster, Heirloom Beets, and Sauce Americaine paired with Domaine Anderson Chardonnay 2014. 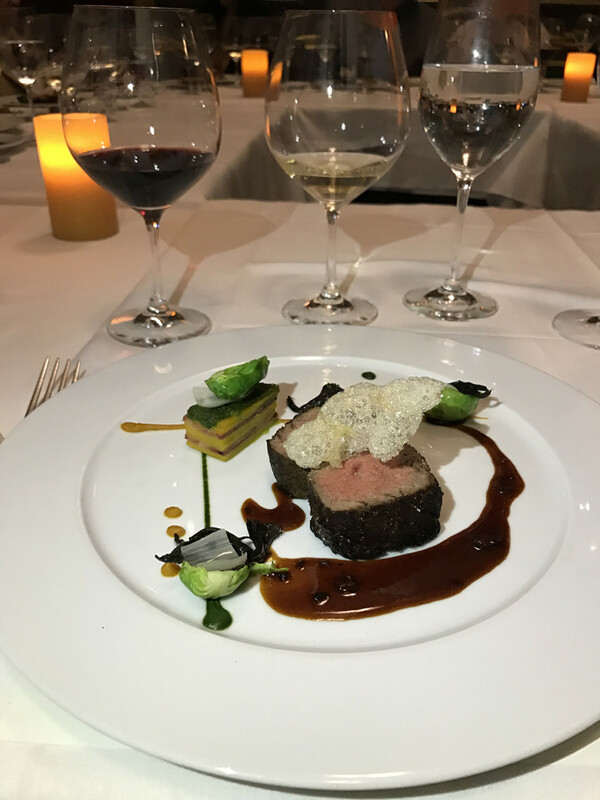 Snake River Farms Eye of Ribeye, Confit of Marble Potatoes and Sunchokes, Veal Sweetbread, and Madeira Sauce served with Domaine Anderson Pinot Noir 2013, en Magnum. 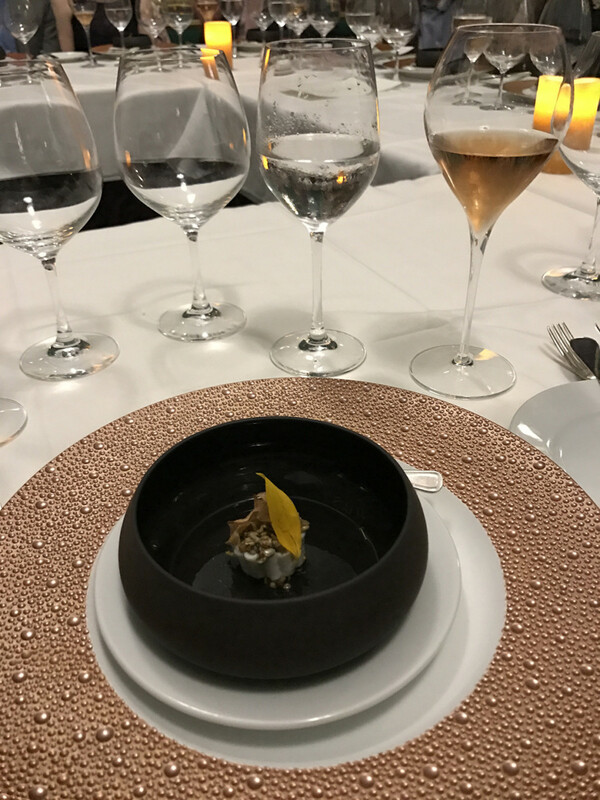 The dessert course included 3 desserts: Vahlrona Chocolate Ganache, Pistachio and Hazelnut Croquant, and Golden Raspberry Sorbet paired with Champagne Louis Roederer Carte Blanche Demi-Sec. 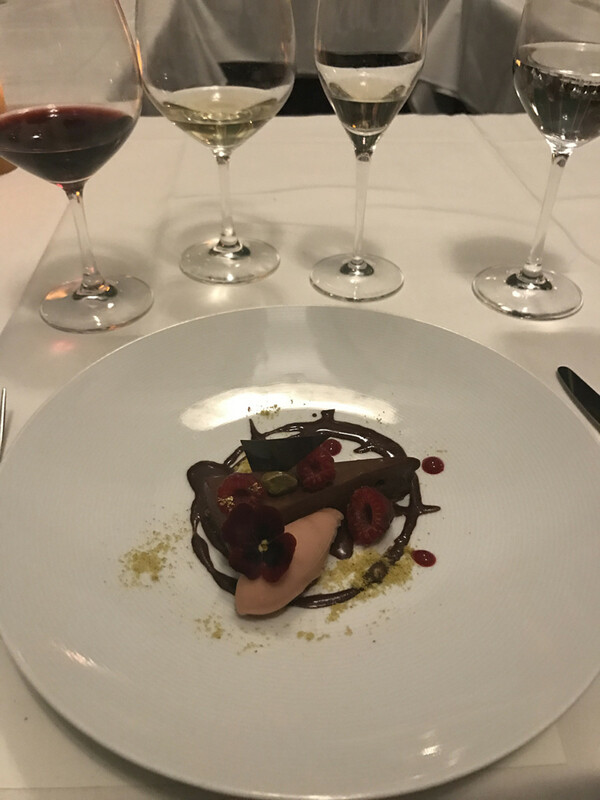 The Vahlrona Chocolate Ganache dessert course which was divine! 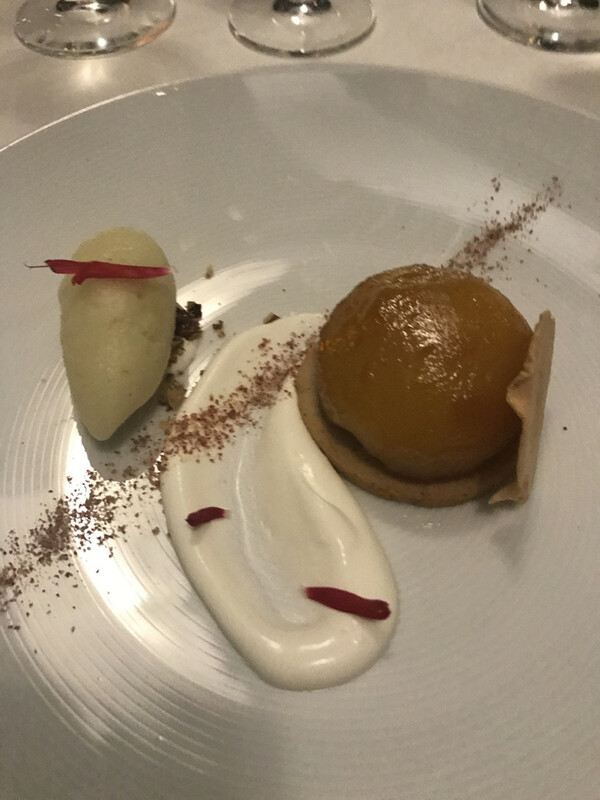 The Pistachio and Hazelnut Croquant dessert course. 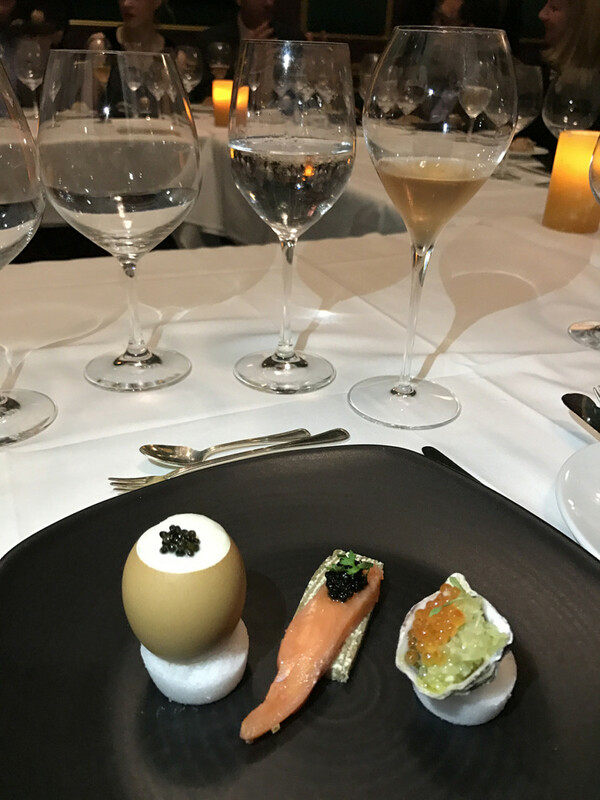 Thanks to Roederer Estate & Domaine Anderson for hosting me to this lovely evening of delicious food & incredible wines. 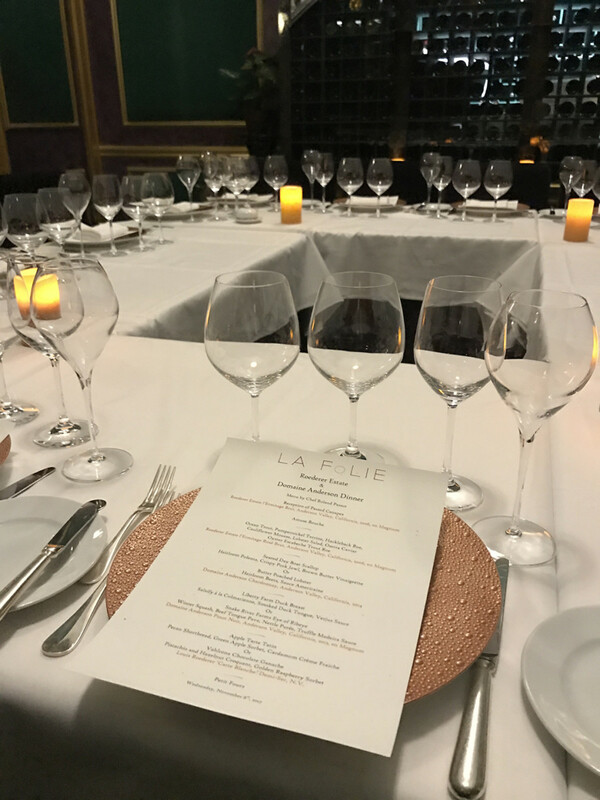 This was truly an evening I will treasure – I had such an incredible time.